Jeeze Dude, it’s software it’s ver. one of the new. Everything improves with a bit of time. Besides, WHEN was the last time you bought Ver.1? Nobody buys them. It’s a fools game. I know you don’t buy ver.1. Otherwise you’d be working nights at Denny’s, not editing. Were you around when Pshop went from 2 to 2.5 and NOTHING OPENED? Learned my lesson on that one. I’ve been leery ever since. It’ll get better. Remember when we all had to chip in and buy so Apple could afford to de-bug OS X and how much fun that was? This is a legacy of Apple. Ship the first non-crashing version. Remember? Funny—the splash screen says it’s version 10. I wasn’t around for the Photoshop bug of which you speak, but I was around for the switch from FCP5.1/PPC to 5.1/Intel when none of my projects would open. Didn’t bat an eye, because that was a bug. FCPX’s inability to open .fcp projects isn’t a bug, it’s an intentional lack of necessary functionality. I wouldn’t have a problem if it was buggy. I’ve got a problem with Apple’s new objectives for FCP, and with their approach of treating the people who rely on Final Cut Pro to do their jobs with such abject disdain. 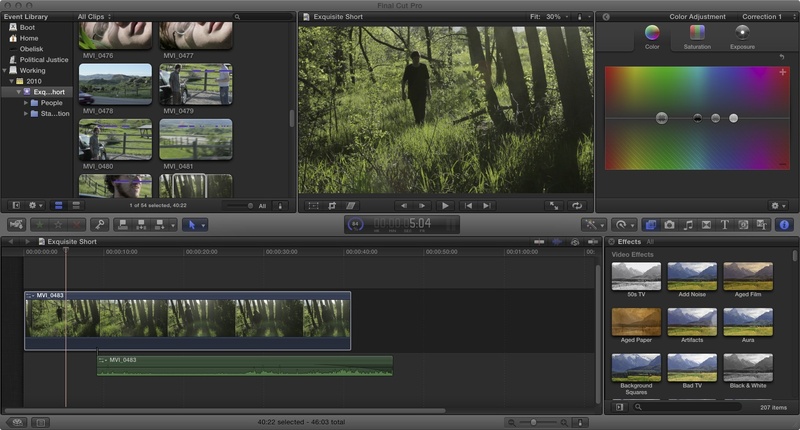 We can open iMovie projects but not FCP7 projects? Kick me in the groin. The legacy of Apple used to be providing powerful, versatile software and hardware tools to creative professionals. Final Cut X is the last nail in that coffin. Thank you for summing up what all of us feel with some passion and humour. Would it be possible for me to post this on the raging FCP X forum on Creative cow? 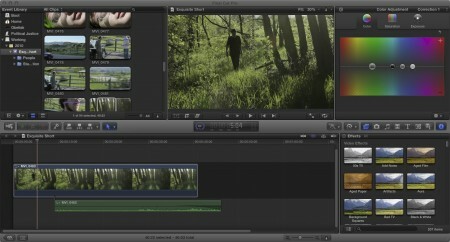 I think us unhappy FCP’ers would love a bit of humour. Here is my proposed post. It’s been a few years since I have chimed in here…2003, so hello fellow FCP editors! Anyway, let’s hope that from all this change, that change could be great if “our” FCP engineers listen and not abandon what Apple should be proud of, that was FCP. It was once the Jewel of the crown for the company. This is a copy from Andrew Gingerich from the App store posted today June 21, 2011. Thanks mate! Really appreciate it and very nicely written.